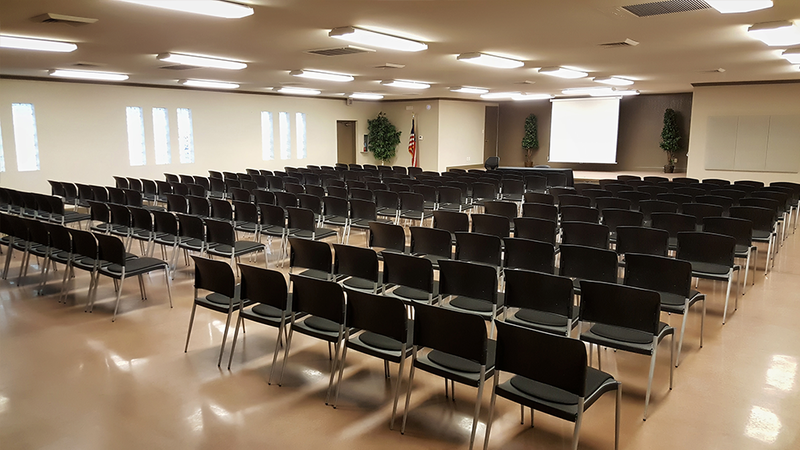 The 24th Street Conference Center is the perfect venue for your next event. We can accommodate a wide variety of requests, even on a budget! 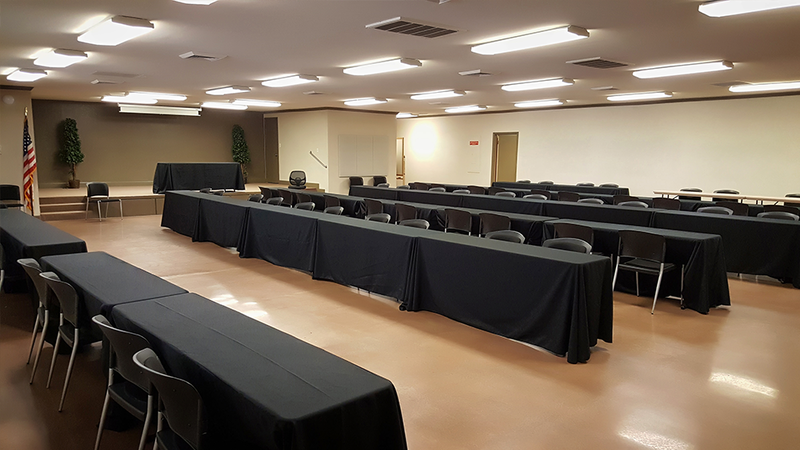 It doesn't matter if you are interested in hosting a training seminar, a meeting, or any other business related service that requires a professional venue - we can do it with our adaptable rooms. 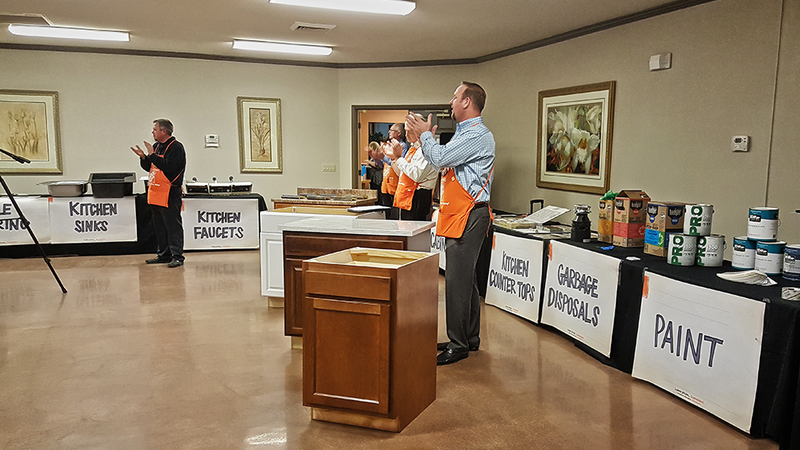 More than just a gathering place. We are the ideal venue for visitors seeking value priced office/training space in which to conduct business or host your next big event. Perfect for large gatherings and presentations, our main hall will comfortably seat up to 120 theater style. Alternately, we can provide classroom seating for up to 100. Additional configurations can be tailored to your meeting needs. 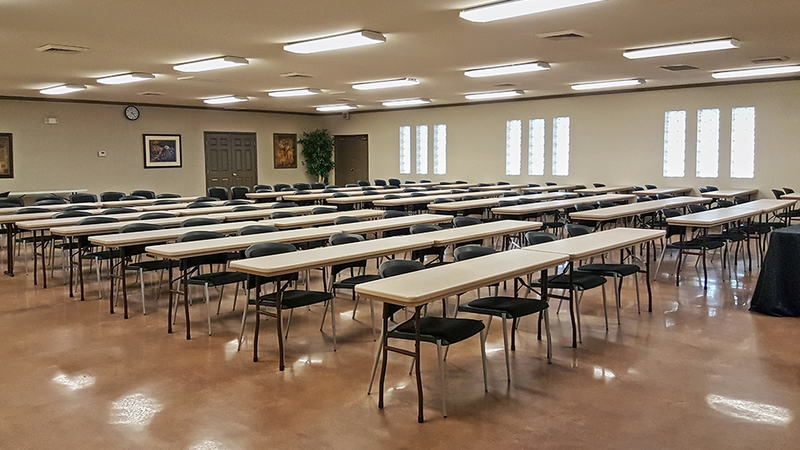 Two well appointed, fully configurable classrooms comfortably accommodate 24-30 attendees seated classroom style. The classrooms can be combined into one large classroom seating up to 72 students comfortably. We have three full service offices with a separate waiting room. 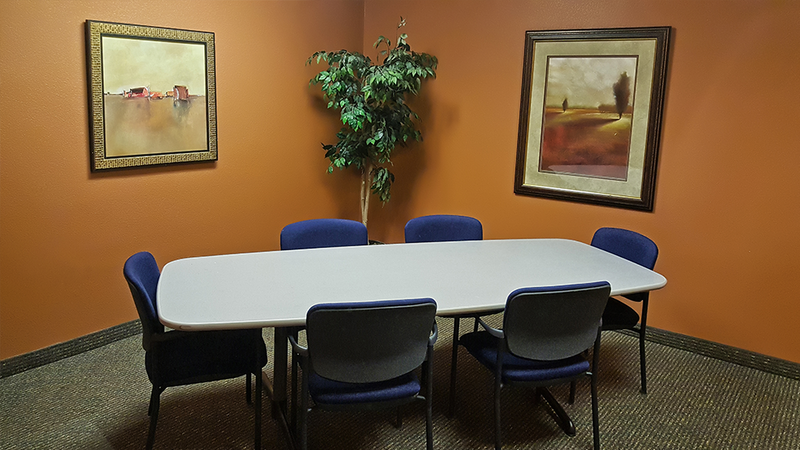 Our private conference room offers seating for eight in a more personal environment. 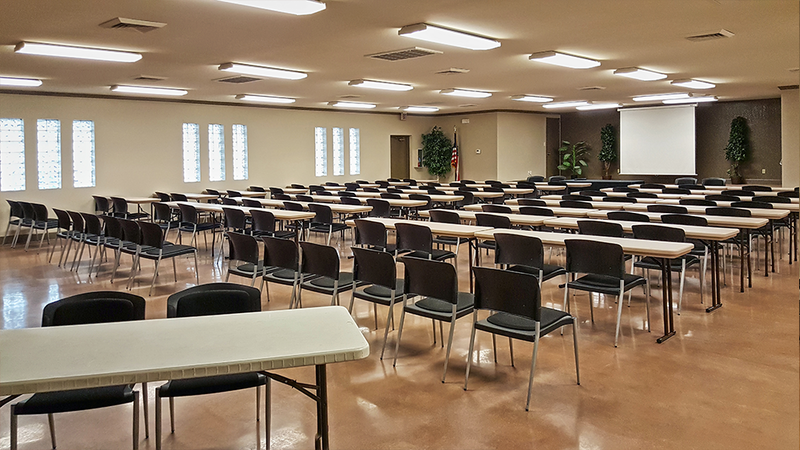 All of our conference rooms have full internet access and phone lines available for your business needs. We have ample free parking at our location. Additional overflow parking can be arranged. We are located next to one of the premier limo services in the Phoenix metro area and we can arrange to pick you and your guests up in style. Our warm, comfortable common areas welcome guests for registration & class breaks. We have a spacious lounge area that could also be used as a waiting room for the offices/conference rooms. A registration desk is also available if your event requires a check-in. Our venue can provide the catering of coffee, tea, soda, ice water, desserts, and small snack items upon request. You are also welcome to hire outside catering services should you require a more robust dining menu. Want to save even more? Bring your own refreshments! At the center of where you need to be. 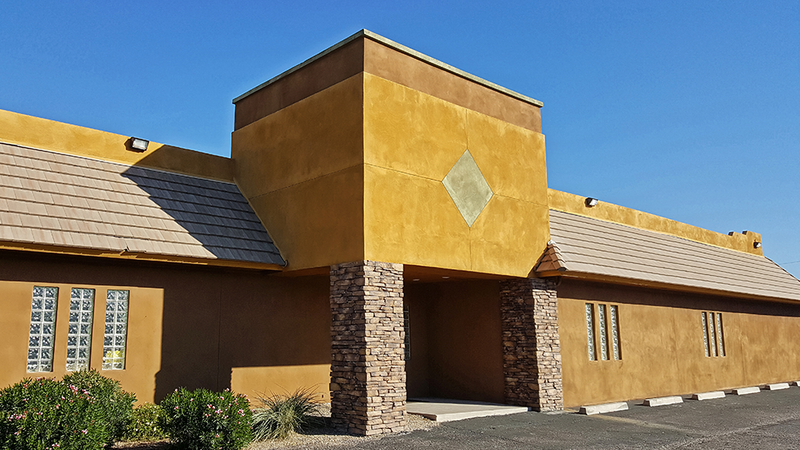 Positioned close to the I-10, SR 51 & SR 202 - we are conveniently located in the heart of the Phoenix metro area. Only minutes away from Sky Harbor airport, we can accommodate out of state groups.